Patrice and Jeff Wishmyer and the entire ChattanoogaHomeFinder.com team is pleased to announce it has been selected as the Parkbench.com affiliate in three areas of Southeast Tennessee – 37377 Signal Mountain, TN, 37415 Red Bank, TN and 37403 Chattanooga-Fort Wood and UTC. Patrice and Jeff Wishmyer are the experts and sponsors of Parkbench.com which is an easy to use website where locals can find local events, deals, news, and real estate in their specific neighborhoods. Local businesses use Parkbench to put up daily deals and sales and allow customers to write reviews without worrying about them being filtered if the business doesn’t pay for advertising. If you’re a homeowner or someone who loves to hangout in downtown Chattanooga, Red Bank or Signal Mountain, Parkbench.com is the #1 source for local news, events, and deals. It also has a business and school directory, and information about real estate, and you can subscribe to the newsletter to get weekly updates and coupons for small businesses as well. 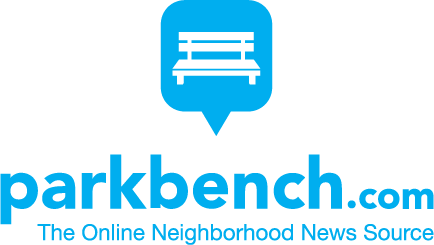 Parkbench also provides its users with up to date information on news and events taking place in the neighborhoods. If you have a social media site that disburses information like this, and you’d like to be included on the Parkbench site for your neighborhood, call or text Jeff Wishmyer at 423-424-8479. Click here if you’re a local business owner and you’d like to be apply to be featured on the site! Overall, the mission of Parkbench is to help people stay up to date with what’s going on around them, and get to know the people and businesses in their neighborhood. And now, the folks of Signal Mountain, Red Bank and downtown Chattanooga have this powerful and free local platform. Patrice and Jeff Wishmyer and the ChattanoogaHomeFinder.com team are ready to help you buy, sell, lease, or invest in real estate throughout the Greater Chattanooga area and North Georgia. Call 423-424-8749 to get started today.